These resources are valuable components of my writing toolbox. If you choose to purchase after clicking on one of the affiliate links (*) on this page I’ll receive a small fee. Thank you! of the journey to publication. The self-styled “Mad Professor of Writing” provides in-depth writing tips and examples of how to make them work. Randy Ingermanson created the Snowflake Method of writing. Author, screenwriter, mentor to highly successful authors. Check out his website and while you’re there, sign up to receive David’s in-depth writing tips by email. Subscribe to Hope’s mailing list to receive weekly news about publishers looking for manuscripts, lists of writing contests, along with other industry news. Oh, and read Hope’s books if you want to see how it’s done. If you have time for nothing else each week, peruse Yesenia’s curated list of the best articles on writing, editing, and everything to do with the business of getting published. It’s a gold mine of information. You really don’t have to do it all by yourself. These wheels have already been invented. When you forget the rules, can’t remember how to spell, or want a professional touch on your words. Let this automated system look for and correct 250+ common writing errors. 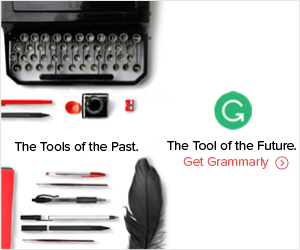 Use Grammarly for that extra advantage. Whether you’re looking for resources to learn how to self-publish, templates for book proposals, to format the interior of books, create book covers, launch a book, or compile a media kit, you’ll find it here. Joel is constantly creating new tools to help writers at every stage of their careers. I like the power to add to and change my own website, but there are times I have no idea how to do something I want in WordPress. Such as testing updates to the software, doing backups and storing them, and fixing things that break in the night. 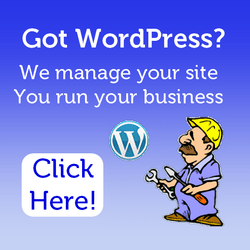 John will do only the work that makes you crazy or he’ll do it all, including domain registration and web hosting. Your choice. That’s why I signed up for John Sawyer’s Website Management Program and web hosting. He’s fast, speaks geek at a level I can understand, and worth every penny.